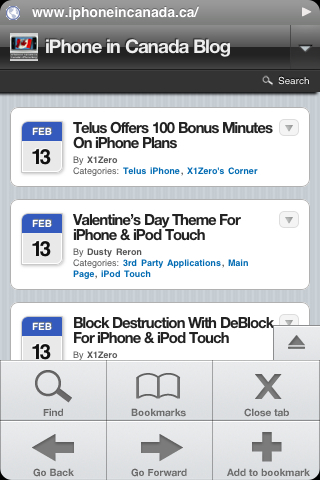 Have you been looking for an alternative to Mobile Safari, for browsing the web on your iPhone? Take a look at “iDroid Mini Browser”. Typically, when we hear about a new browser for the iPhone, that is somewhat based another mobile platform, it would only be available in Cydia, for jailbroken iPhones. Well, some how, this one slipped past the app checker guys, and is now available for free, in the App Store. iDroid Mini Browser is an innovative browser designed specifically for the iPhone.Inspired by iPhone’s Safari,Android browser and Opera min. 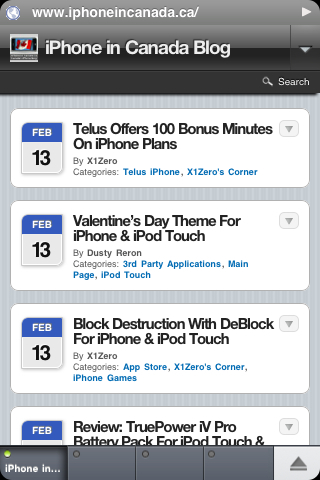 A definitely must have for all iPhone and iPod Touch users! 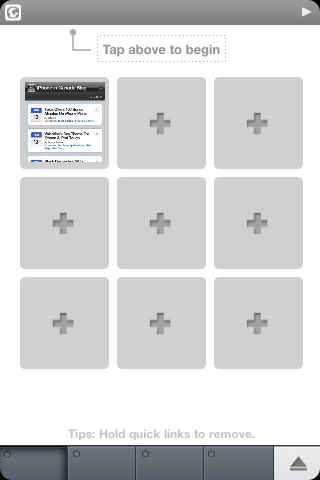 Innovative tab browsing designed only for the iPhone. The active tab is shown by green light. When the web browser is loading, the green light will blink. Ensures fast loading of websites! A real comfortable way to take a peek at other tab while staying on the current tab. Tap and hold any inactive tab to preview. The smart url is inspired by google chrome. Suggestions from Google.com appear as user type the url. It saves time and makes browsing experience better. Inspired by many leading browser, apparently this feature is currently missing. 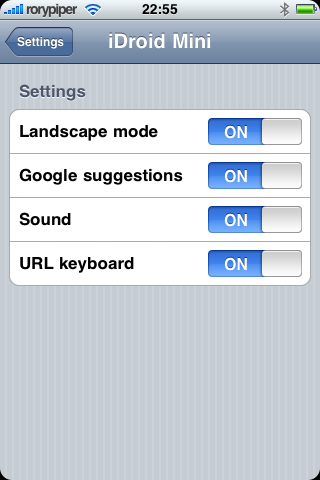 In iDroid Mini Browser, user can add their own Quick Links to access their favorite website very quickly! Meticulously designed UI for more pleasant experience. Many of the UI is inspired by other famous browsers, but has been carefully designed to fit the iPhone perfectly. I found that the browser works quite well. Bookmarks and quick-links were easy to set up. 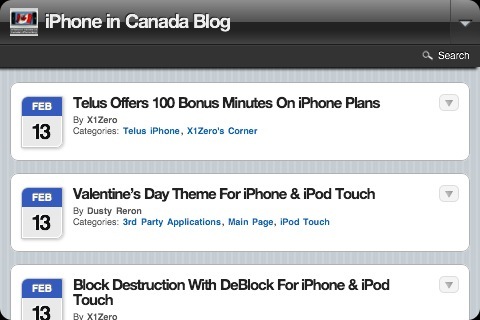 The tabbed browsing is really nice, being able to see the names of the sites you have tabbed. The speed of the browser was really great for iPhone optimized sites, but I found it a bit sluggish for regular web viewing. Thanks for reading. You can follow me on Twitter: @rorypiper, and you can can read more of my stuff at Green Candy.